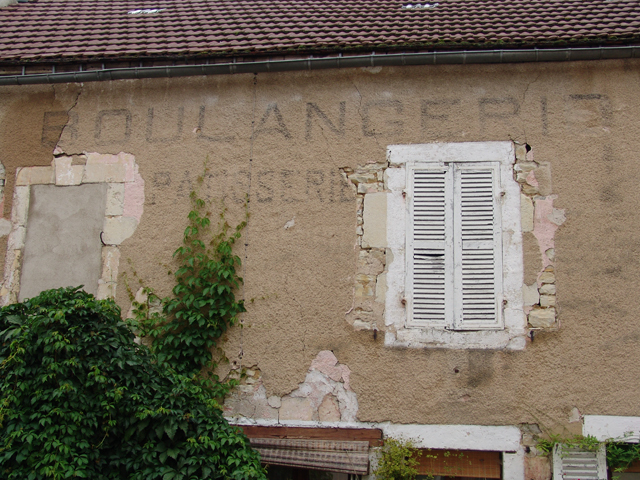 These old French villages are full of ghosts. But my favorites are those that haunt the walls. 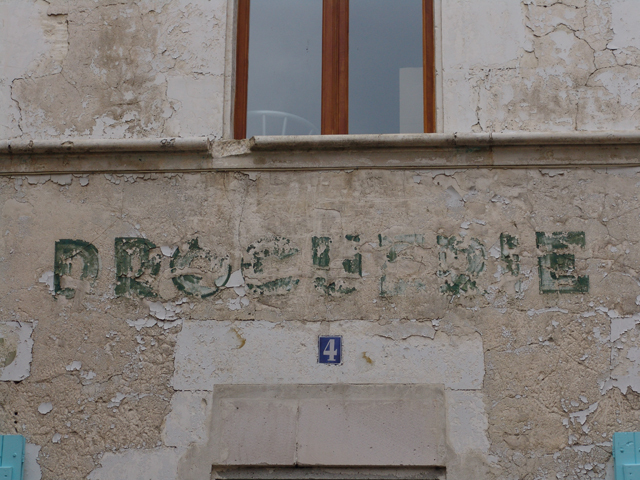 Signs (literally) of things past. Hotels. Dairy shops. Jewelry and watch shops. 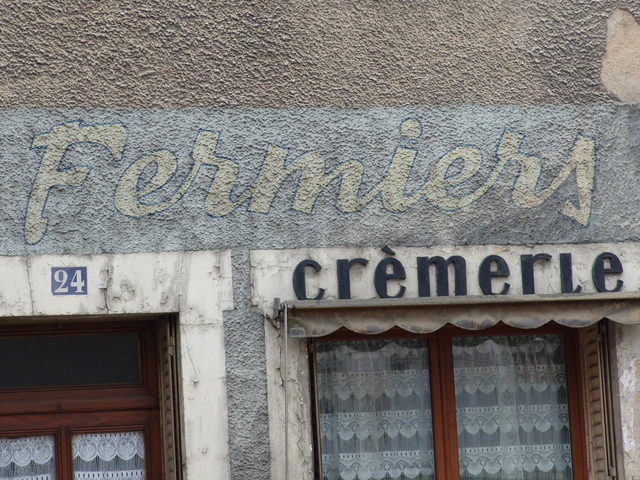 Bakeries long gone or relocated. 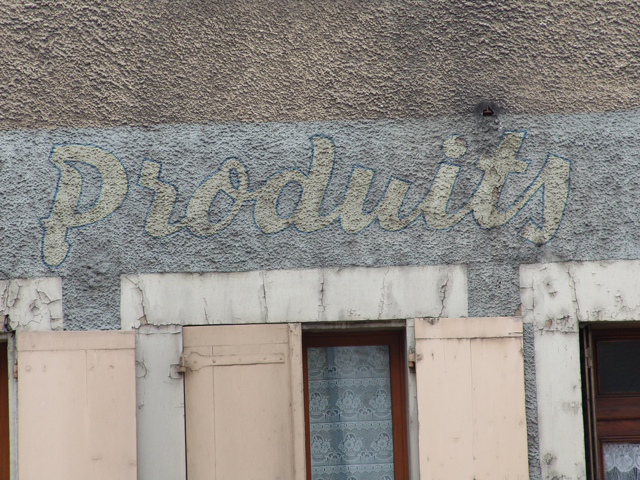 Typography is a passion of mine, and as spectacular as it is in many of its digital iterations, there is nothing that compares with these hand-painted beauties. I wonder who decided what font to use? I wonder who chose the colors? I wonder what hand painted them so steadily? Layers and layers of time, peeling away, fading before our eyes, some lingering a little longer as reminders of something that came long before us. In this last window, the swallows have come back year after year to build their nests under the windows of the old watch shop. Collectively, they and their feathered ancestors have seen it all. The times of war and peace. The seasons of drought and plenty. The heat waves and the cold snaps. I wonder what memory they pass on to their babies, along with that incredible instinct to cross vast sweeps of our planet in the winter, only to return once again to that particular barn, or that old dairy shop. 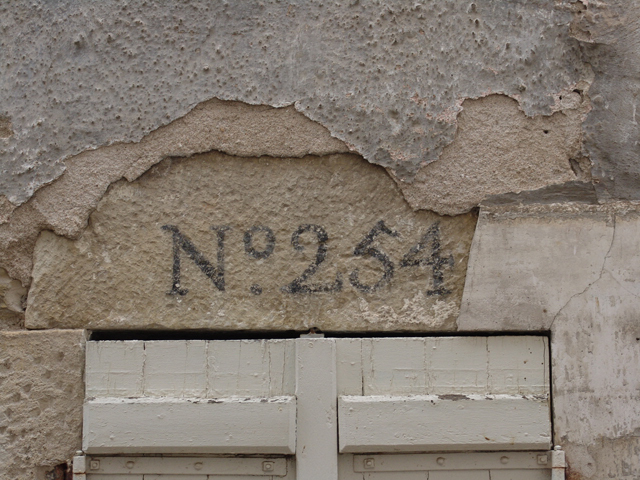 What do they make of the comings and goings, the painted words that one year are vibrant, another nearly invisible? 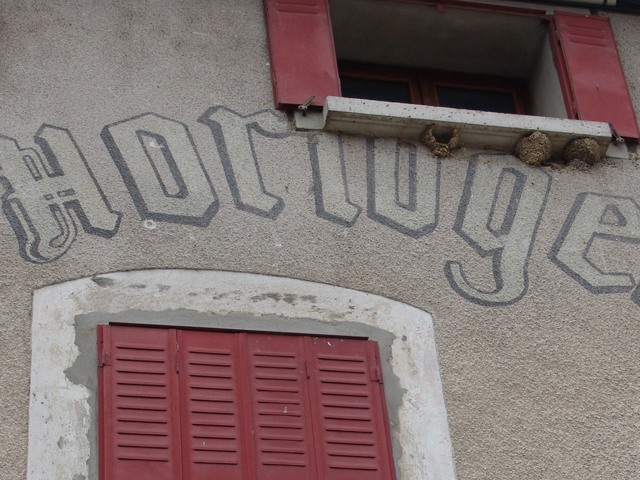 This entry was posted in AROUND US, FRANCE and tagged Burgundy, hand painted signage, history, swallows, typography. Bookmark the permalink. A beautiful collection of photos. I love things like this. I loved this post. I am in Charleston SC, an august town that has maintained its centuries old French provincial architecture. 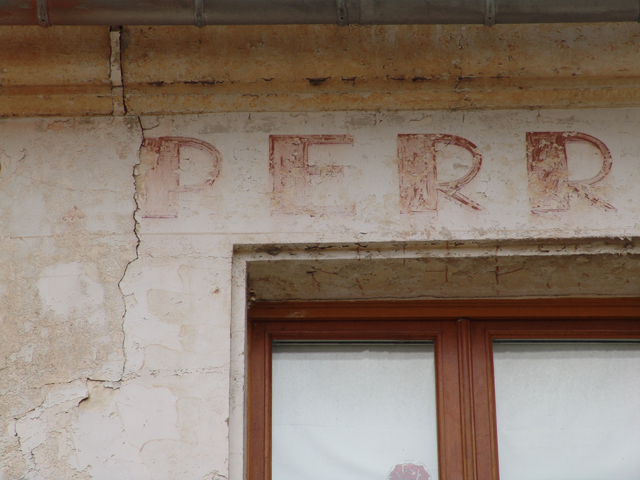 So yes there are ghost signs everywhere. That said, Charlotte, I thought you might appreciate this story of a real ghost who visited me recently.